Barry Ryan, Byrne, Lynch, Fahey (O'Cearuill 90), Harris, Dempsey, Paisley, O'Brien (Kirby 74), Guy, Quigley (Bobby Ryan 81), Fitzpatrick. Ikstens, Junior, Petrenko, Kazura, Zolotarjovs, Zils, Kandov (Snelnikovs 65), Fertovs, Jakovlevs (Sputajs 60), Tarasovs, Perepechko (Turkovs 70). 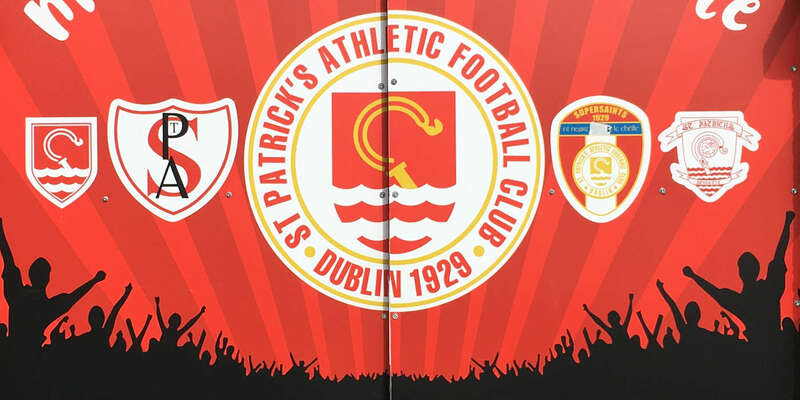 St Patrick's Athletic are in tomorrow's draw for the UEFA Cup, 2nd Qualifying Round, after a historic victory over Latvian side JFK Olimps at Richmond Park, writes Mark Cummins. Captain Jamie Harris headed home Keith Fahey's free kick on 40 minutes to add to Ryan Guy's away winner a fortnight ago, before Mark Quigley doubled the lead on the night from the penalty spot on 70 minutes. 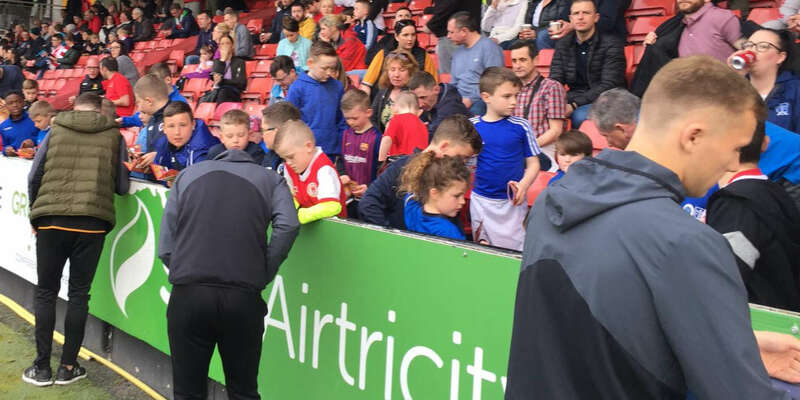 St Pat's boss Johnny McDonnell had called for an early goal to help settle his side but Olimps proved a tough nut to crack and matched Pat's from the start. After just 54 seconds Vitalijs Zils put Aleksandrs Perepechko through on the left wing, but Pat's captain Harris cleared the danger. Andrejs Jakovievs looked lively for the Latvians up front and got on the end of several balls from midfield before Quigley had the first shot on target for Pat's. That came on nine minutes, but Olimps netminder Kaspars Ikstens made a clean save at the Inchicore end. Pat's then enjoyed a good period of play with chances for Quigley, Derek O'Brien and Keith Fahey but none of them troubled Ikstens. Olimps were awarded a free-kick in controversial circumstances on 32 minutes. Igors Tarasovs went down under the challenge of Stephen Paisley but the Pat's man didn't appear to tackle him too harshly. Indeed Tarasovs and Jakovievs had both already gone down easily under tame tackles. Perepechko took the free but fired straight at Pat's keeper Barry Ryan. Pat's then had a free of their own on 40 which resulted in the opening goal. Nathan Junior took down Dessie Byrne on the left and Fahey swung the dead ball into the box were Harris rose highest to head past Ikstens. Olimps started the second half in fine form and Tarasovs fired a cracking free kick 54 minutes which Ryan managed to save at second attempt. Pat's pushed on though and doubled their lead on the night from the penalty spot on 70 minutes. 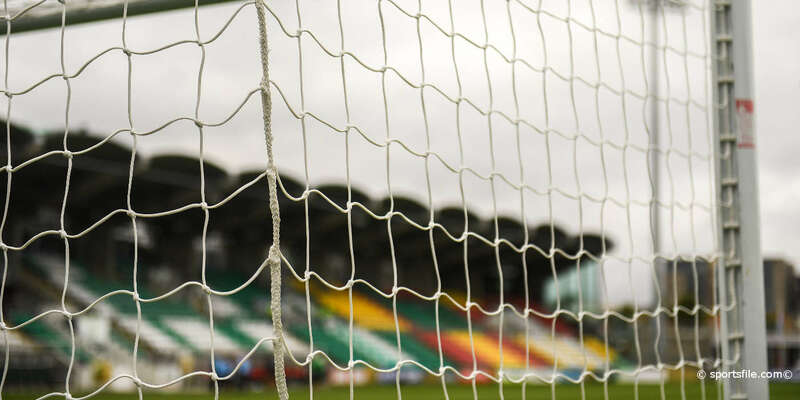 Alens Snelnikovs' nip at the heels of Glen Fitzpatrick was too much for Maltese ref Marco Borg and pointed to the spot at the Kilmainham end, from where Quigley made no mistake. Four minutes of injury time were played, but the Saints held on despite some nervy close calls.